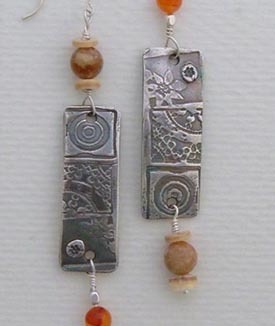 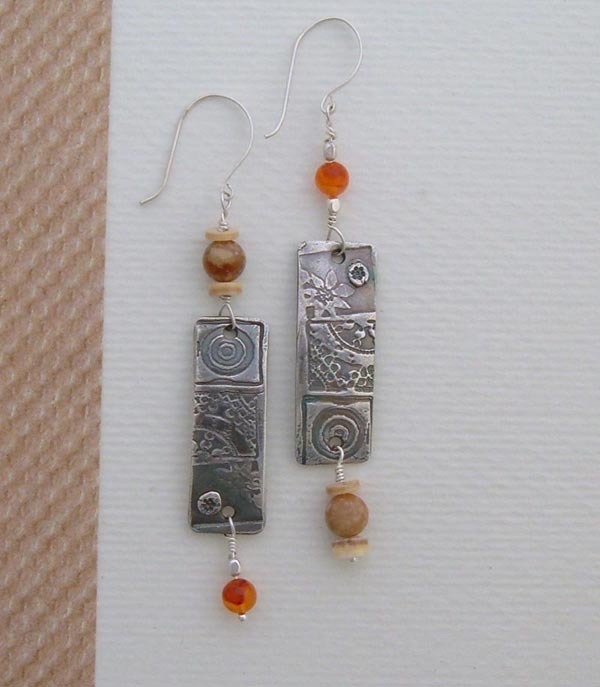 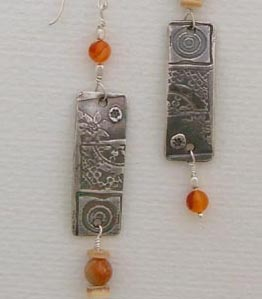 Handcrafted Artisan Earrings, Carnelian Glow. 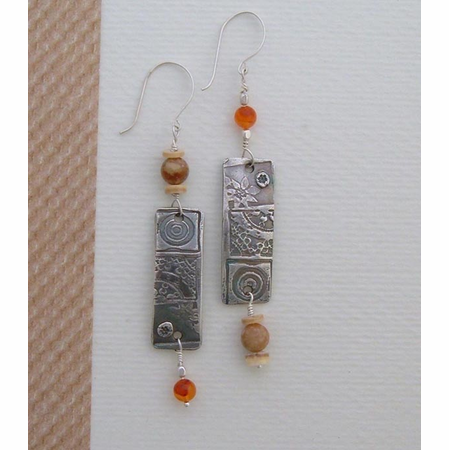 Handmade earrings using .99% fine silver. 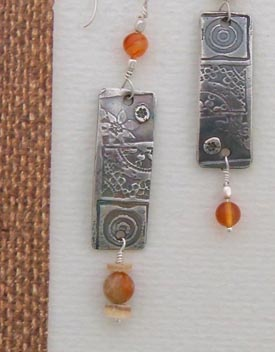 Carnelian, Autumn Jasper and Heisi shell. 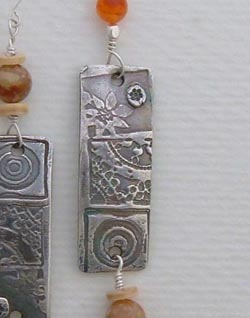 Sterling silver French wires. 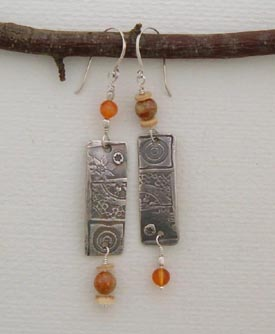 Light weight earrings and comfortable earrings to wear.